From the huge board that listed the craft beers offered, I chose the Dogfish Head Sah'tea - a modern update of ninth century Finnish proto-beer. This smooth beer was marvelous! 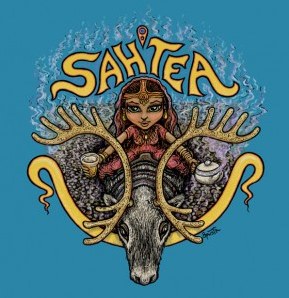 My taste buds could feel the chai, berries, spices, and beer blend well together. I'm getting thirsty just thinking about it! Food wise, I was impressed what was on their menu because there was also a variety of foods. I wasn't really hungry, so I just sampled the sweet potatoes fries which were made perfectly crisp!